NASHVILLE, Tenn. – Though the losses won’t feel good now, the competition will pay off in the long run for the Wilmington High School tennis team. The Hurricane lost two matches in Tennessee during a spring break trip to the Ensworth Academy. WHS was defeated by Ensworth 6-1 on Tuesday and by Ravenwood 7-0 on Monday. Both matches were played at the Ensworth Academy. 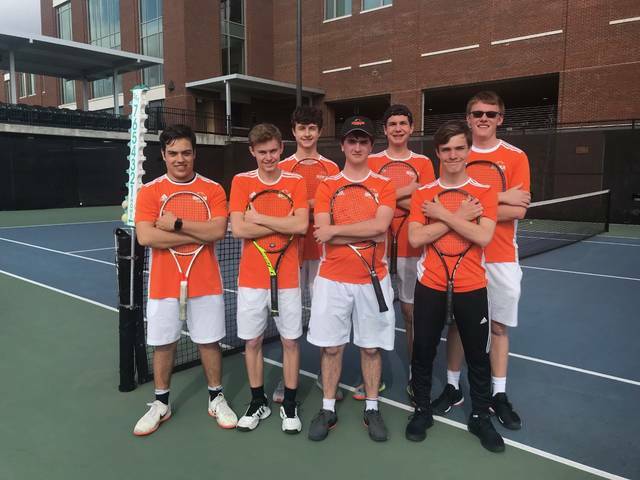 “Ensworth Academy is one of Nashville’s finest tennis program and, hands down, the nicest high school tennis facility in the country,” WHS coach Steve Reed said. “It was a blessing having them host us this week. We had a competitive match and it came down to the wire on several courts. On Monday, WHS matched up with Ravenwood, the defending big-school state champions in the Volunteer State.